Many schools in the US require students to take SAT or ACT for undergraduate or college admission. If are one of those who you are planning to further their studies after graduating from high school, it will work to your advantage if you take the SAT or ACT exam. This will open a number of opportunities as you search for your spot in higher education. However, there is one important thing you need to note if you plan to take these exams: preparation. If you are in the San Diego area, the program called SAT and ACT prep Santa Clarita provided by Santa Clarita In-home Tutoring can be a great help in order for you to not just pass but get higher scores in these exams. Getting study books from reputable brands. There might be a number of review books that you need for SAT and ACT prep Santa Clarita but you do not need to buy all those review books you find around. A couple of books from reputable brands should suffice to supplement your preparation. Check out those books recommended by the ACT organization. Additionally, you can also make some search online about some highly recommended reviewers for these exams. Familiarizing the most frequently tested concepts. It is imperative that you learn the concepts in subjects frequently covered by the SAT and ACT exams particularly in the area of Mathematics (Algebra, Geometry, Trigonometry, etc.) and English Language (e.g. grammar). Once you are familiar with them, you will be surprised that the questions in these areas are relatively easy. Practicing on how to optimize the allocated time for the exam. During your tutoring session, one area that you should be able to practice is how you can properly use of the allocated time for the exam. The concept of optimizing the time for the exam has been proven to be effective in getting higher scores. That is, even if you are able to finish the test in a shorter possible time, you should not forget the review your answers if there is an ample time before you submit them. Establishing a study schedule and follow it religiously. Why it is important to point out this matter? It’s because lots of students fail these exam due to procrastination. Establishing a schedule and following it religiously allows you to make your study more effective, helping you succeed in these exams. 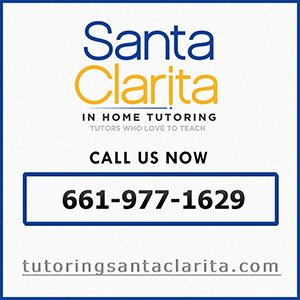 For a more effective SAT and ACT prep Santa Clarita, contact Santa Clarita In-home Tutoring today at (661) 977-1629. Is your teenage child struggling in school? One big challenge that parents face is finding an ACT preparation tutor in Santa Clarita Valley who will be able to properly prepare their child for their ACT test. Although, there may be other tutors out there who are offering studying help or homework assistance very few have the expertise or experience to properly prepare a student to take their ACT. In the United States, the ACT often determines where your child is accepted for college or university. For this reason you want to make sure that you hire only an experienced and qualified ACT preparation tutor. Scoring high on your ACT is the best way to assure that you get into the college or University of your choice. Anyone who wants to be guaranteed a spot at their number one choice post-secondary institution should study for this exam! It is no big secret that many students have a hard time studying academics without a teacher. This is why parents may want to consider enlisting the help of a professional tutor to work with their child in preparation for this important exam. Give your child the advantage! When it comes to the ACT exams there is a lot on the line. Parents, who wish to give their child an advantage, can do so well with the assistance of a tutor! If you are having a hard time finding a tutor in Santa Clarita, consider Santa Clarita In Home Tutoring. Santa Clarita In Home Tutoring is a professional tutoring organization that specializes in matching students with excellent, experienced and highly trained education professionals who can help them improve their grades and score high on their exams. For over 20 years, Santa Clarita In Home Tutoring has been matching students with the perfect tutor who will help them learn. We assess each child’s learning style and personality to make sure that they will learn well from the tutor whom they are matched with. Because we are an actual tutoring organization Santa Clarita In Home Tutoring’s tutors come highly qualified, many of them with backgrounds in classroom teaching. In order to assure that your child does well on their ACT exams, we actual practice the tests when studying. This way we can anticipate how your child will do and help them improve in the areas where they are scoring the lowest. If you are located in Santa Clarita Valley and you wish to find a tutor for your child to help them prepare for the ACT exams, then consider Santa Clarita In Home Tutoring first! We are the only professional tutoring agency in the Santa Clarita Area.